The Edmonton Oilers finally re-signed Darnell Nurse. An overview of the deal and how things might work out for both sides in the near future. It’s been a long time coming, but the Edmonton Oilers have finally reached an agreement to re-sign 23-year-old defenseman Darnell Nurse to a two-year, $6.4 million contract. The new deal comes at a $3,200,000 annual cap hit for the next two seasons and comes just weeks before the start of the 2018/19 NHL season. Overall, this is a deal which works out well for both sides for the time being. Nurse gets a nice pay raise from the $1,713,333 AAV he got for the past three seasons. The increase in salary is fair as Nurse is coming off a career year scoring six goals and (26 points) in 82 games. With Andrej Sekera out with a long-term injury, the Edmonton Oilers will need Nurse in their lineup more than ever this upcoming season. Ideally, the Oilers would have loved to lock Nurse up on a longer deal, but due to tight budget constraints and only around $3.9 million in cap space for the upcoming season, they had no choice but to give Nurse a bridge-deal for now. At only 23 years-old, Nurse looks like he is still a few years away from his prime, so there is a good chance that he will significantly improve over the next few seasons. Budget-wise this might not be such a good thing for the Edmonton Oilers. If Nurse significantly improves over the next two seasons, he will likely demand a massive pay raise and long-term deal in the summer of 2020. But for the Oilers’ sake, hopefully by then, they would have found a way to move out some big contracts (Andreji Sereka, Milan Lucic) to free up some space, so they can get Nurse paid. On paper, it looks like the Edmonton Oilers expect Nurse to be a key part of their defensive core that already features Oscar Klefbom and Adam Larsson on very affordable contracts. As of now, they don’t have legit number-one defenseman or an elite puck-mover on the backend who can provide consistent offense. Oscar Klefbom might be the closest thing - but if Nurse is able to develop his offensive game and become a 35-40 point defenseman, it would go a long way in helping the Oilers become that much better. At the same time, the Oilers expect the former seventh-overall pick to continue to provide toughness and be someone hard to play against on their backend. With Darnell Nurse finally signed there are other notable restricted free agents still waiting for a new contract. The list includes; William Nylander (TOR), Miles Wood (NJD), Nick Ritchie (ANA) and Sam Reinhart (BUF). Perhaps this deal can open the floodgates for others to get signed as well. 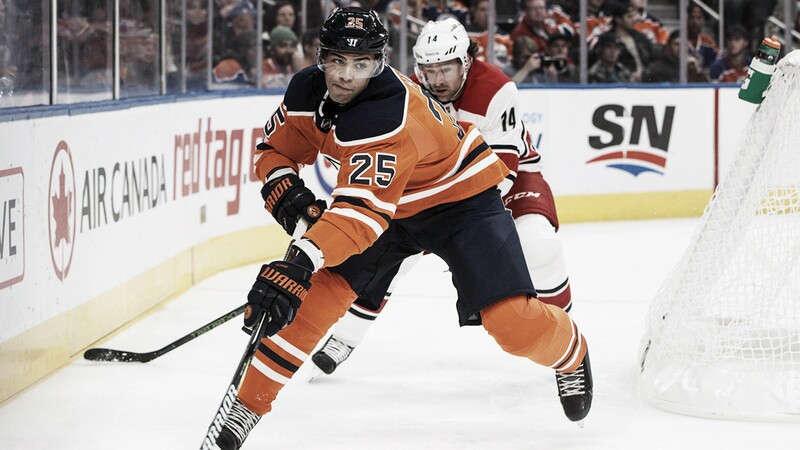 What do you think of the Darnell Nurse signing? Let us know in the comment section below, and make sure to give us a follow on Twitter (@VAVELNHL_ENG) for more updates!